GOALIES CHECK OUT 19-20 SEASON OFFERINGS! 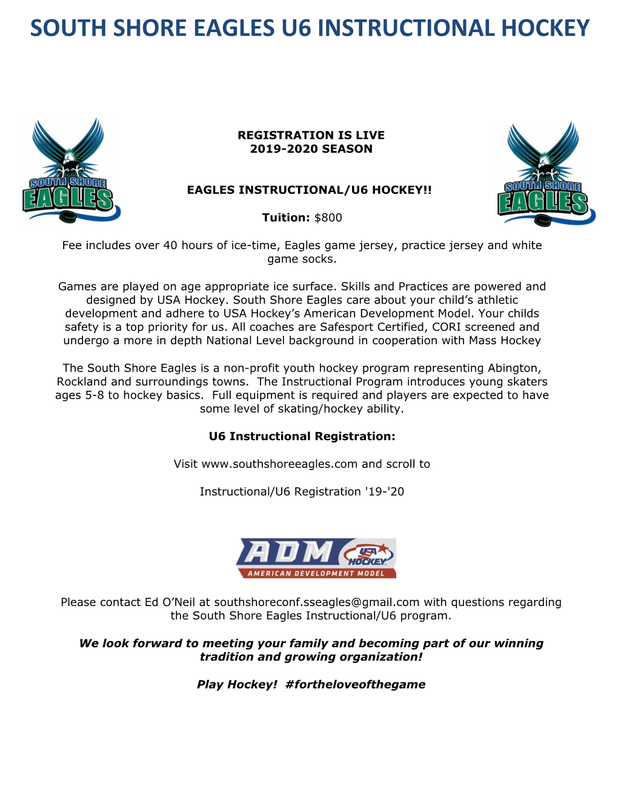 2019-2020 Regular Season Registration is LIVE! Check out our NEW U6/Instructional Offerings for the 2019 - 2020 Season! - U6 Registration is now LIVE!! 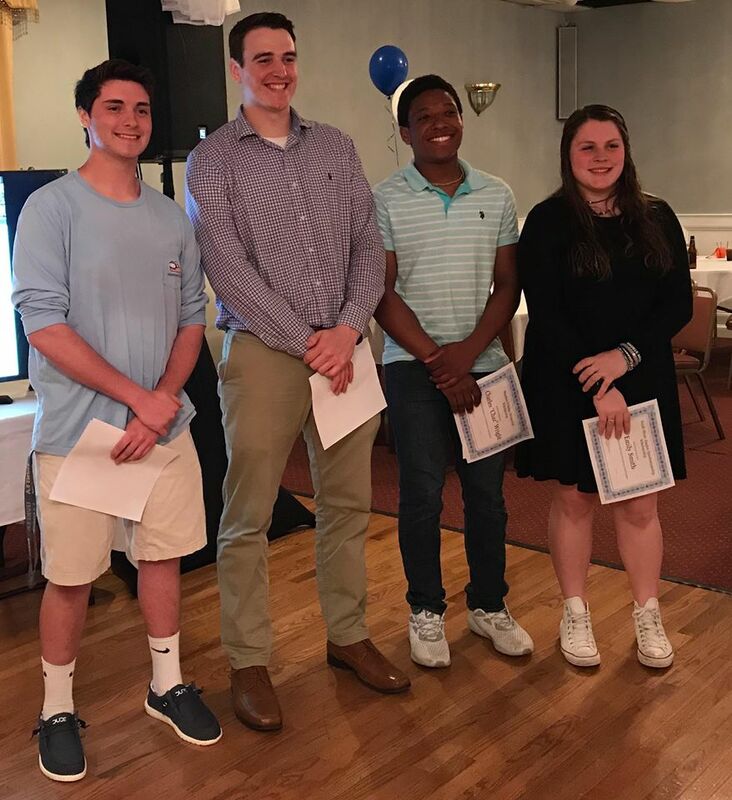 We are so excited to announce that we are currently accepting applications for our 1st Annual South Shore Eagles Scholarship Awards. Open to any former SSE hockey player that has played for at least three (3) years in the program who is graduating High School and continuing their education. 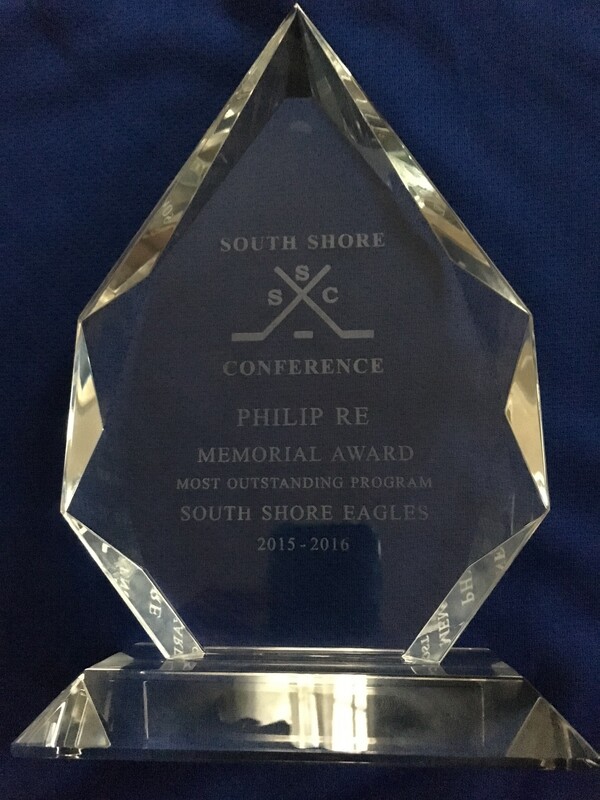 The South Shore Eagles are 2015 - 2016 Program of the Year !! Way to go kids, coaches and everyone who makes this program so successful! !